Blue (?-2009); Cobalt Blue (?-December 2012); Gold (2009-December 2012); Green (?-2009); Pink (?-2009); Purple (?-2009); White (1994, 1995?). 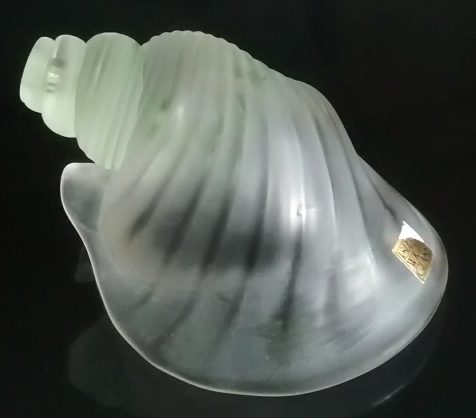 The shells can be fumed (matt or iridised surface) or not fumed (shiny surface). Known sizes vary from about 10 cm long to 15.5 cm long. There may be other colours than those listed above. 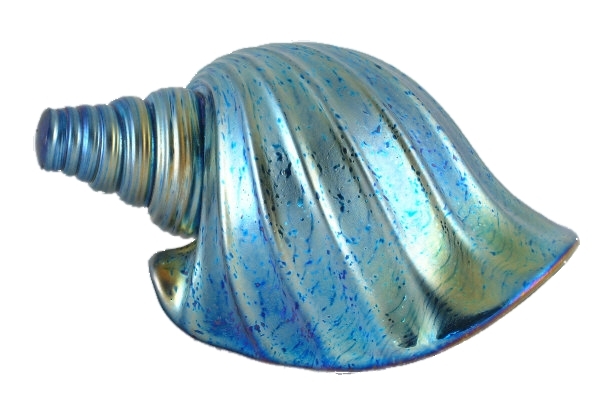 A large cobalt blue blown shell, 10 cm long, with iridised surface. 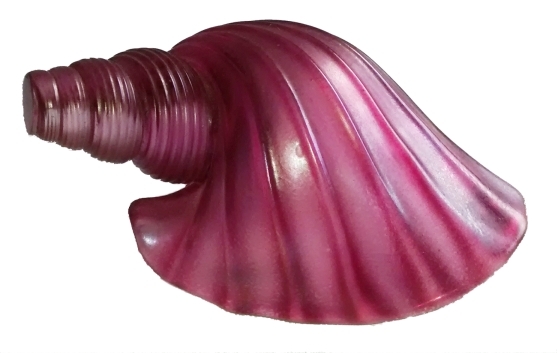 A large pink blown shell, 12 cm long x 6 cm high, with a matt surface. The shell appears matt white with a twist of green in the spiral. It measures 10 cm long x 6.5 cm high. The label perhaps indicates 1994-1995.